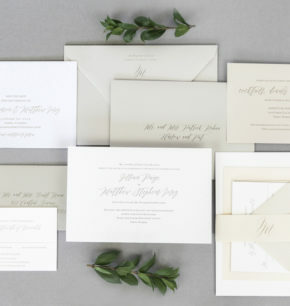 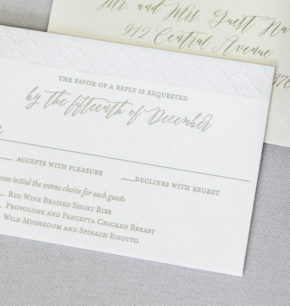 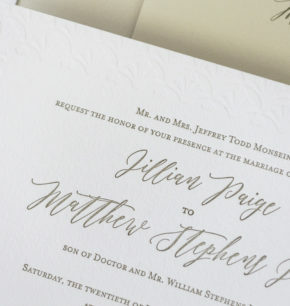 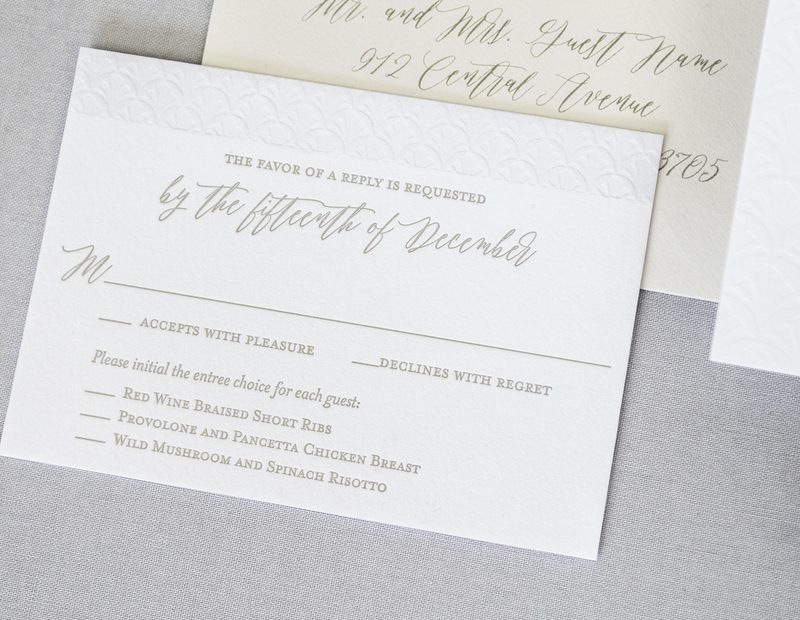 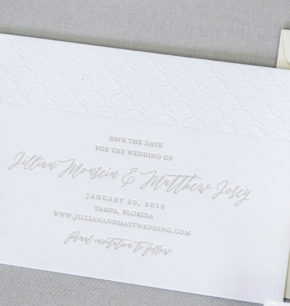 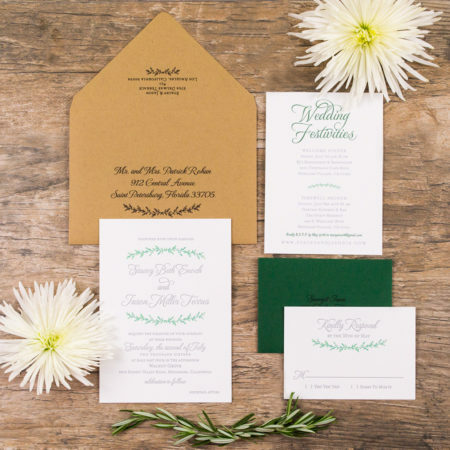 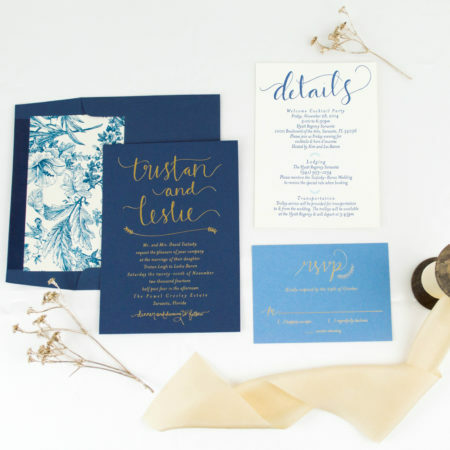 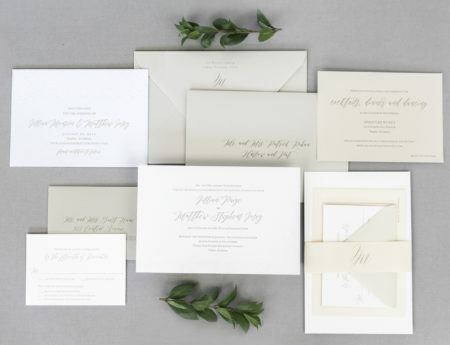 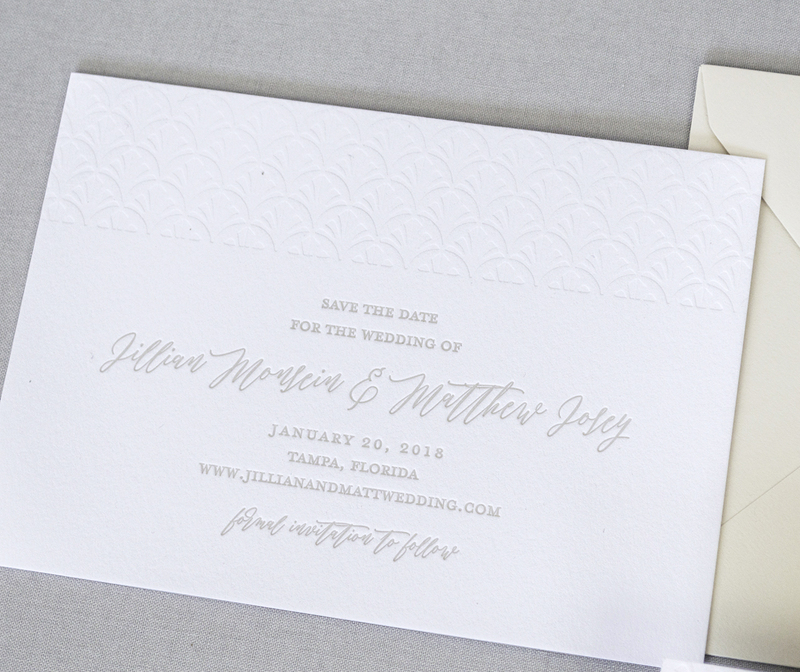 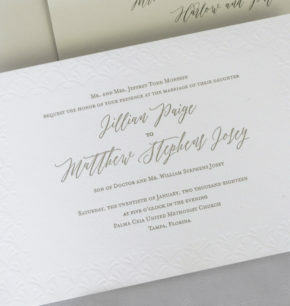 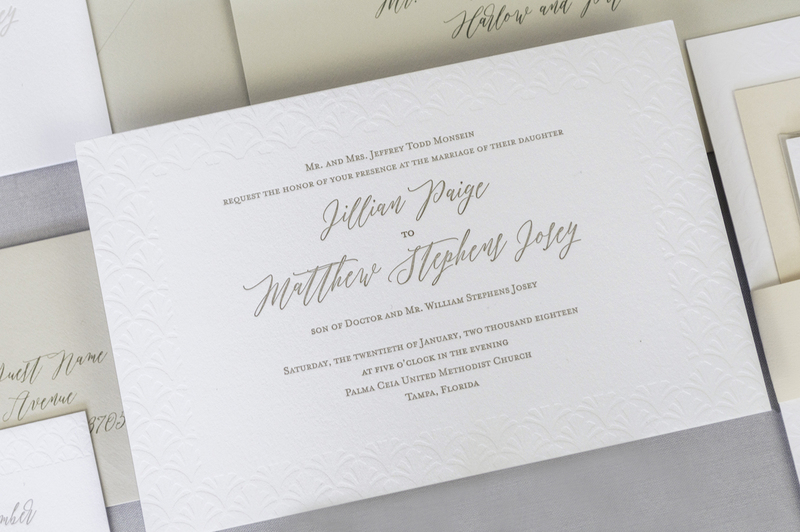 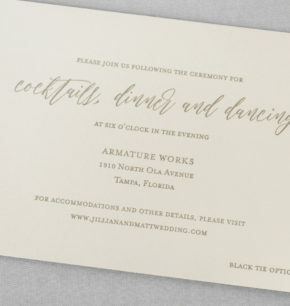 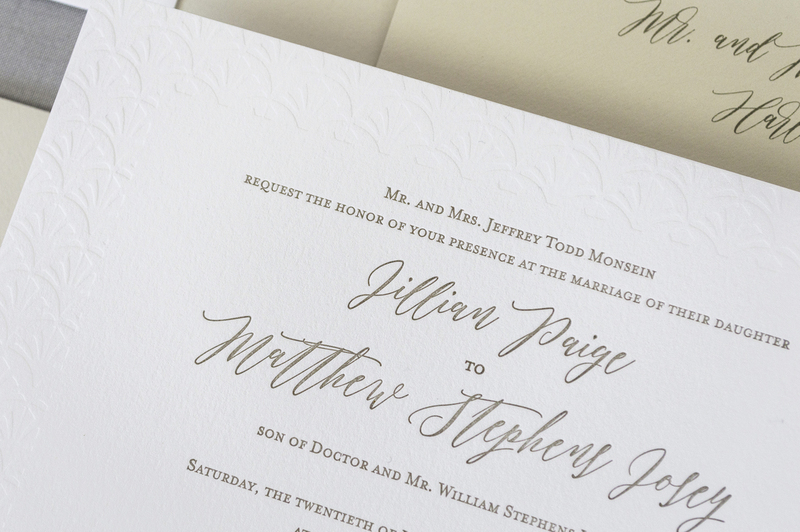 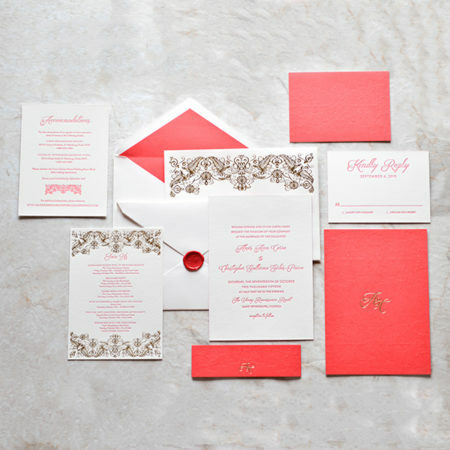 This bride wanted a very clean design with a neutral color palette, and she really loved the idea of incorporating an intricate blind-pressed pattern throughout the invitation suite. 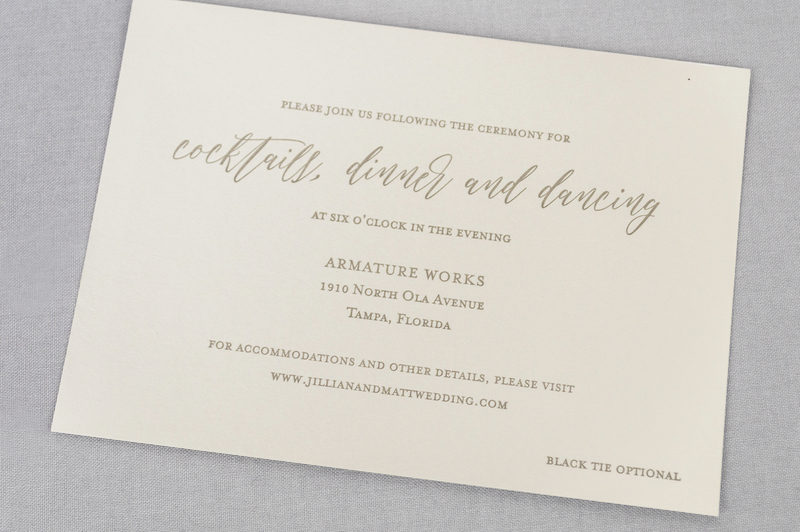 To bring her vision to life, we created a thick border design and letterpress printed her suite with soft and neutral ink color. 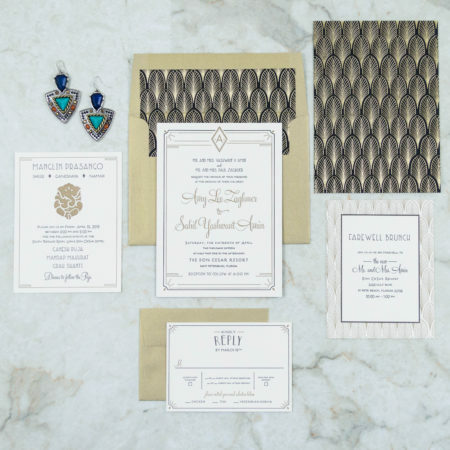 The overall look of this suite is clean and modern with lots of textured details.